POOL & GARDEN MAINTENANCE INCLUDED! This is a stunning, four bed, three bath, dedicated study, dual lounge flowing through to an open plan living, dining and kitchen area, this two-story beautifully rebuilt character home brings a perfectly blend of character features with the finest modern appointments. One property away from absolute riverfront, every inch of this immaculate residence has been upgraded to exacting standards with edgy designer flare. 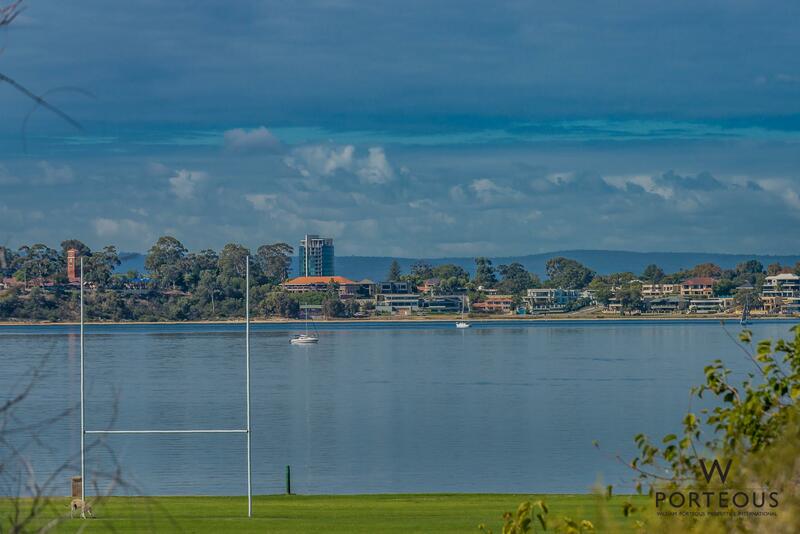 Nestled in one of the suburb’s premier locales, access the unrivalled recreational offerings and conveniences in the heartland of Perth’s western suburbs, whilst living within sanctuary-like surrounds, enjoying exceptional views of the Swan River, every single day of the year. Alluring and private, lose yourself in the avenue of trees inviting you, with creeping fig and pencil pines to your new home. Revealing a welcoming elevation, with a hint of Hampton’s charm, the joy of this home grows upon entering the sparkling leadlight front door. Sensitive to its heritage, interiors feature original jarrah floorboards, sash and lead-light windows, terrazzo entry flooring, crystal chandeliers and intricate moldings, all restored to perfection. This exquisiteness is enhanced by the harmonious infusion of modern architectural elements of the utmost quality. All-white spaces filled with bi-fold doors, plantation shutters paired with white stone bench-tops and charcoal granite pavers create a stylish ambiance. The open plan dining and living rooms are exceptional – melding character and the contemporary with aplomb. Bespoke floating shelves and storage surround a landscape gas fireplace adding a touch of cosy, while walls of sash windows and bi-fold doors deliver sunshine and verdant green aspects. At center-stage, a David Trubridge pendant set within decorative ceiling plasterwork, adds interest to this cohesive space. Nearby, the gourmet kitchen is finished with white Caesarstone, with subtle veining, quality cabinetry and glass splashback. Packed with the full-suite of Miele appliances, including a coffee machine and wine fridge, it features a long breakfast bar, corner pantry and opens to the outdoor terrace, offering views of the action within the glorious outdoor spaces, while cooking-up-a-storm. Fling open the banks of bi-folds spilling onto the most sensational outdoor living space, with room for everyone and everything. Spacious and protected, the granite-paved terrace accommodates an alfresco lounge area plus a massive dining table with additional room to play. Fitted with speakers, entertaining is made super easy. Overlooking the salt water, solar-heated pool surrounded by lush planting and frameless-glass fencing. A large patch of lawn, set beneath a mature Jacaranda and custom-built herb boxes offers multiple spaces to play and explore. 3 premium bathrooms and 2 powder rooms are injected with divine and consistent selections from Rogerseller, including wall-hung curved oak vanities, rain head showers and contemporary tapware combined with matt textural tiling in warm tones and overhead mirrored cabinetry. At the front of the home, there is a well-appointed ground floor guest bedroom plus another flexible living space (be it a study, playroom or library), with under-stair storage, adding to the versatility of this exceptional residence. Conceptual continuation of the tradition continues as you follow the jarrah treads to the second level. Sunshine streams through the clerestory lead-light windows, highlighting ornate plasterwork details and chic pendant lighting. With the river, parklands, pool, and gardens in full view, the spectacular Master suite is supported by a decadent ensuite, with separate WC, and a customised walk-in-robe where natural light and ventilation flows, promoting absolute organisation and rejuvenation. An enticing upstairs living space, maximises the home’s connection to the nearby riverscape. An ideal retreat, when separation is desired, it opens to a large elevated terrace where the river flanked by grassy playing fields is in full view. n.
On the opposite side, two queen-sized secondary bedrooms with water and leafy views, excellent built-in storage, and exceptional family bathroom, ensure your brood will be well-nurtured. This property is a triumph, where ease of living combined with handsome yet restrained decor selections deliver a hefty dose of that elusive “feel-good” vibe belying the quality and sheer completeness within. Ready to satisfy the wish-list of absolutely all family’s, this abode will complement your lifestyle, and allow joyous family living. A strikingly attractive home nestled in a quiet, private, secure setting, we welcome your inspection.